Second in popularity after the Masai Mara Game Reserve, this Kenyan park offers excellent wildlife viewing and majestic views of Mount Kilimanjaro. 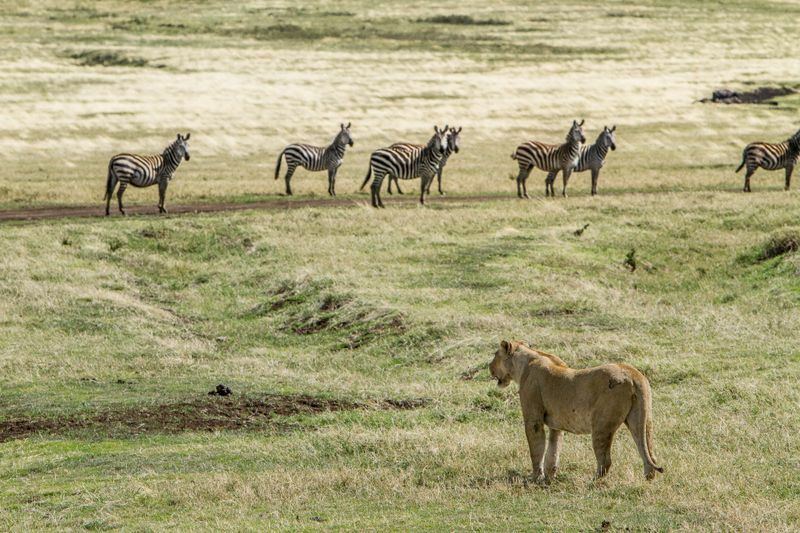 Thanks to its proximity to the Tanzanian border, a safari in Amboseli National Park can be easily combined with visiting Arusha National Park or Serengeti National Park in the neighboring country, or with visiting Masai Mara Game Reserve or the Tsavo Parks. 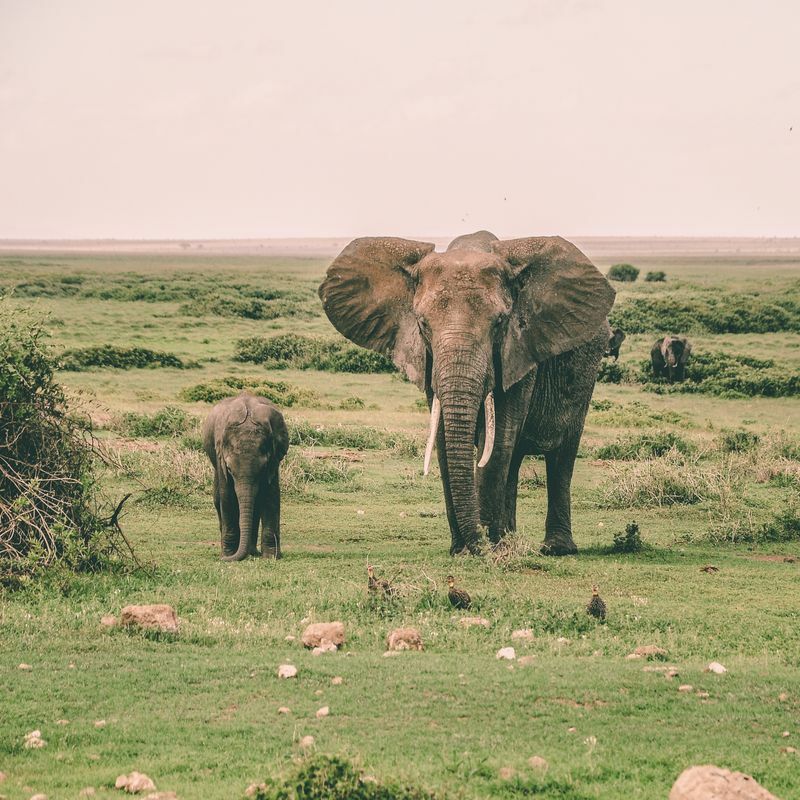 If you have Amboseli on your bucket list, read on to find some useful information on how to get to the park, what to do, where to stay, and what animals you can spot in this compact yet charming part of the world. Where is Amboseli National Park? 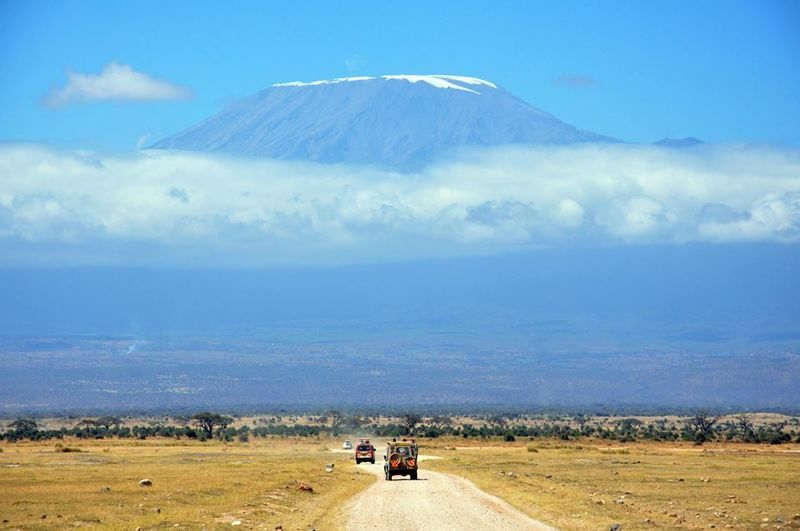 Amboseli is located in southern Kenya, northwest of Kilimanjaro, and close to the Tanzanian border. The distance to the capital, Nairobi, is 365km/226mi. 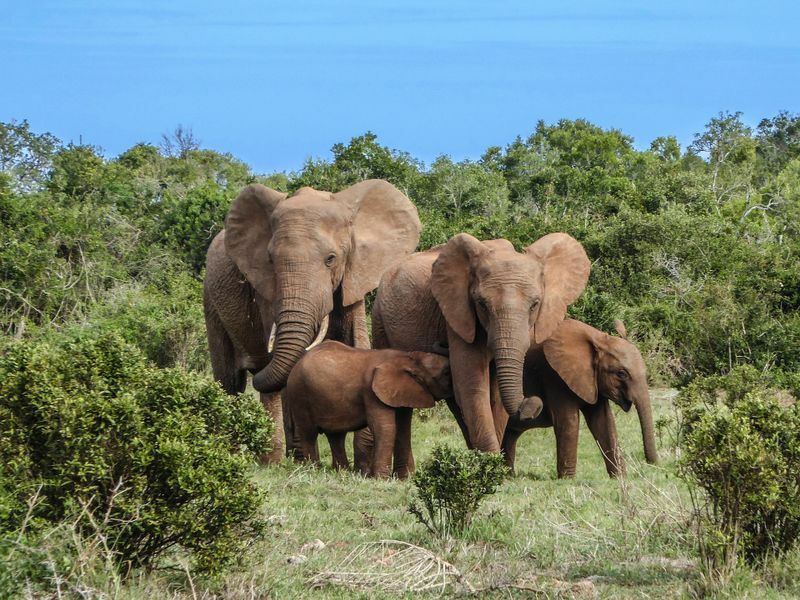 Because of its location, visiting Amboseli National Park can be combined with a safari in other excellent game reserves in Kenya: Tsavo West, Tsavo East National Parks, and Masai Mara Game Reserve. Tsavo West and Tsavo East are nearby (2h and 4h respectively by car). 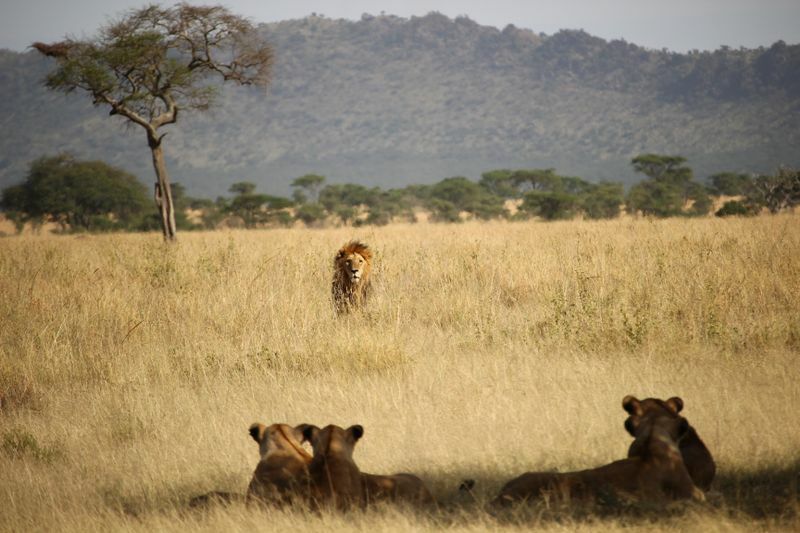 Masai Mara Game Reserve is also at 4 h drive away from Amboseli. How to get to Amboseli National Park? Most visitors fly into Jomo Kenyatta International Airport (NBO), which is a large transport hub in this part of Africa. Most often the transfer from the airport to the park is included in the safari cost, but make sure to check with your safari operator for details. The short distance between the airport and the park makes it a good option for a self-drive safari. Especially if you want to combine it with a road trip to the near-by Tsavo East or Tsavo West, which can be reached by car from Amboseli in about 4 hours. The park can be visited year-round. However, it is recommended to visit during the dry months, which are January and February, and from June to October. This is when animals tend to gather at the water sources and the grass is shorter, making it easier to spot them. Most of the wet season – October to May - is not suitable for wildlife viewing. This time of the year is characterized by “short rains”, followed by “long rains” and a drier period – January and February – that splits the wet season. Despite not being suitable for wildlife viewing the scenery is at its best during this time. Also, these months represent the low travel season, so you can expect lower rates. The views of Kilimanjaro are hit-and-miss. For the best chances, head out early in the mornings during the wet months, from November to May, when the sky is clear of dust. Joseph Thomson, a Scottish geologist and explorer, was the first one to get into the Maasai region in 1883, during a trip to the shores of Lake Victoria. He was struck by the abundance of wildlife and the landscape. In the early 20th century, the colonial government decided to protect the area from hunting and established the Southern Masai Game Reserve. In 1948, Amboseli was declared a Natural Reserve. At that time, the Maasai were allowed to continue to live in the reserve. However, population growth and the increasing number of tourists lead to the establishment of the National Park in 1974. The wildlife frequently fled from the areas where the Maasai were grazing their cattle and went to arid areas where they couldn’t survive. For this reason, after Amboseli became a national park, the Maasai were no longer allowed to live in the protected areas. They didn’t accept abandoning their ancient villages willingly. 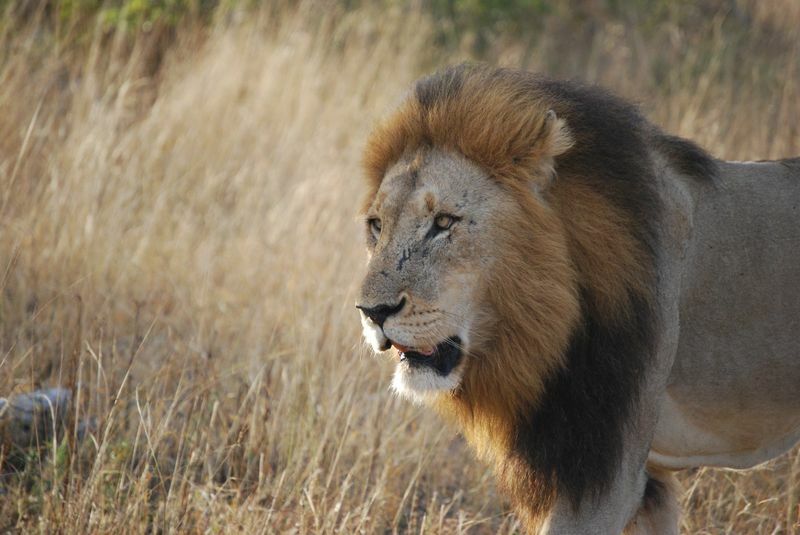 As a result of this situation, they began to kill the black rhinos and lions in the park. This forced authorities to relocate the remaining rhinos elsewhere, while the lion population still suffers to this day. In 1991, UNESCO declared Amboseli a Biosphere Reserve to protect the uniqueness of its ecosystem. Amboseli National Park spans over 392 km/151 sq mi and protects two of the main swamps in the area. The park has five main wildlife habitats: open plans, rocky thorn bush country, acacia woodland, swamps, and a marshland that covers part of a Pleistocene lake basin, now dry. Within the basin, during the heavy rainfall, there’s a temporary lake: Lake Amboseli. It is famous for the views of big game against the backdrop of the majestic Mt. Kilimanjaro. Amboseli is one of Kenya’s most popular national parks and is famous for its elephants. They are well known for having very big tusks as a result of being protected from poachers for many decades. You can see big herds that roam the dusty plains in the morning and evening. During the day, you can see them foraging in Ol Okenya swamp. 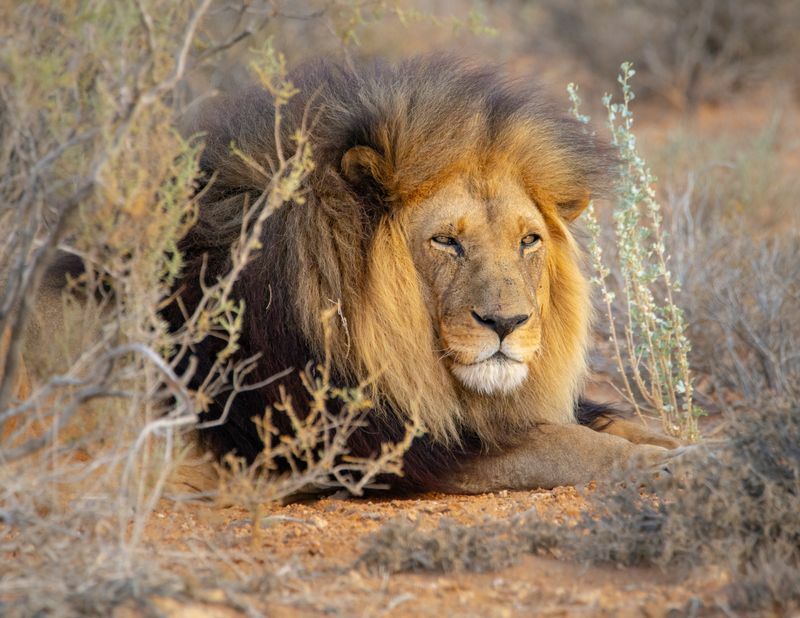 Unfortunately, the black rhino has become extinct but four of the Big Five can be found here: Cape buffalo, lion, leopard, and elephant, although the number of lions is low. Other animals present in the park include giraffes, hippos, zebras, wildebeest, cheetahs, hyenas, and wild dogs. The park is also a good birding destination. Large numbers of flamingos may be present during the wet season. Other interesting birds that are common include the Goliath heron, the grey crowned crane, and the Hartlaub’s bustard. Amboseli is a great park for family safaris. 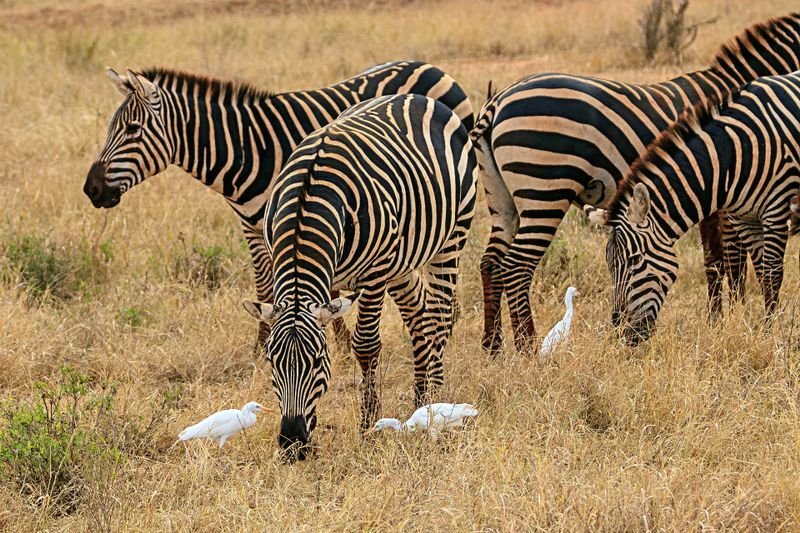 Unlike other African countries, Kenya offers a great experience for your children (0-7 years old) going on a safari. There are plenty of activities and accommodations that cater for families. The only drawback is that Amboseli is in a malaria zone so make sure that you talk to your healthcare provider to get the best protection for you and your young ones. The park is also great for first-time safari goers. It is easily accessed via Nairobi, it is compact, and can be combined with a safari in nearby Tanzania. 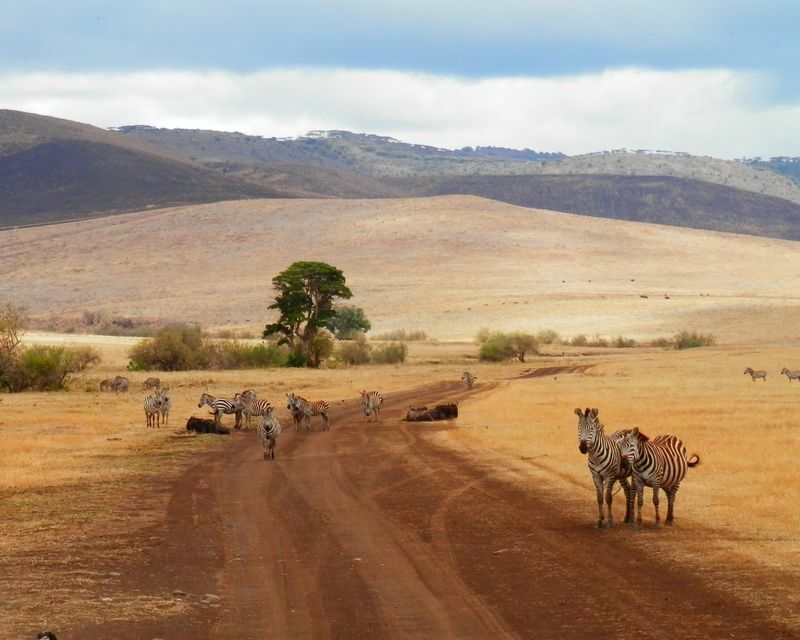 A jeep safari is a great way to explore Amboseli. Two or three days in Amboseli are enough, and that would include at least two game drives. A passport is required for all foreign visitors to enter Kenya. It must be valid at least 6 months after the date of the intended departure. United States and British citizens require a visa to enter Kenya, but an eVisa can be obtained by applying online. It is valid for 3 months and the processing time is 2 business days. Or you can get the visa on arrival. A single entry visa costs 51 USD. All banks in Kenya change US dollars, euros, and UK pounds. There are ATMs in most major towns and you won’t have problems withdrawing money from your international card. Lodges and camps accept credit card payment, so rest assured that you can use your Visa or MasterCard. Don’t forget to let your bank know that you’ll be using your cards in Kenya. Where to stay in Amboseli National Park? 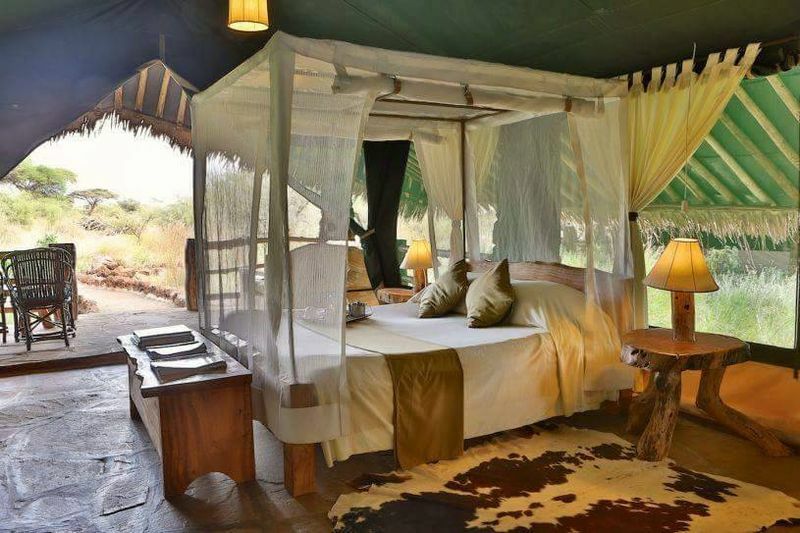 Within Amboseli National Park, guests can choose between self-catering guest houses and cottages, a campsite and privately-owned lodges. The campsite offers basic facilities such as toilet, shower, and running water. The self-catering units include a fully equipped kitchen and dining room. The privately-owned lodges offer a luxury experience, with pools, restaurants, and bars on site, rooms with balcony, ensuite bathroom, AC, and outdoor dining area. Do you also want to visit this fantastic national park? 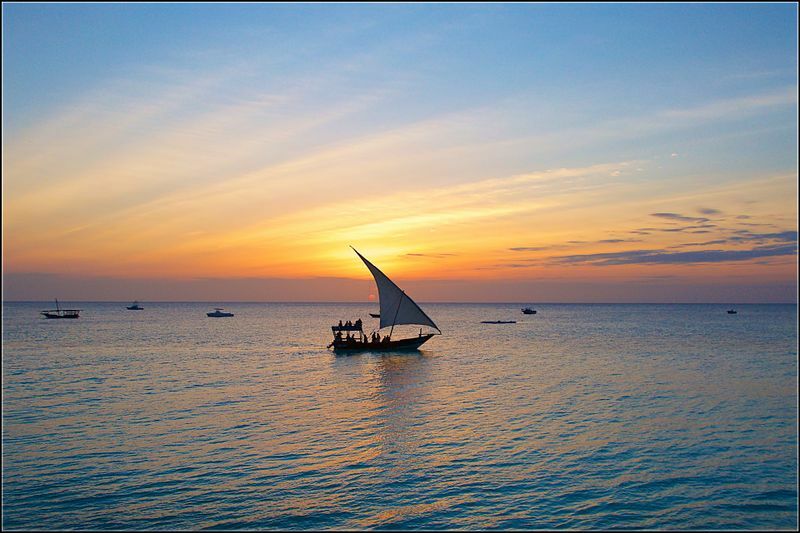 Then plan a multi-country safari in Kenya and Tanzania and make your dreams a reality!